RVnGO is America's best marketplace to find RVs to rent in Iowa. Find your RVnGO! This waterway is a piece of the Great Iowa Lakes chain where tourists and locals alike travel to each spring and summer. The fairway, water games, and nightlife make Lake Okoboji one the of the most idyllic spots in Iowa. And what better luck than to have a RV Park nearby, perfect for a Class C RV rental in Iowa. The Maquoketa Cave is likely the most unique parks in Iowa. Guests adore this site for its beauty and archaeological significance. Pottery, tools and projectile points have been found inside the caverns, depicting that people have been visiting these marvels for hundreds of years, perhaps thousands. The park offers picnicking, guided talks, 6 miles of outdoor trails, and an interpretive center with video tour for those unable to handle the rugged terrain to the interior. Caves are usually closed from Oct 15 to Apr 15 for bat hibernation. This geological gem even has a campground with electric hookup and shower facility. If you are planning to drive your RV rental in Iowa to Cedar Rapids, you should stop at the National Czech and Slovak Museum and Library. Set up in 1974, this library and exhibition hall gives you an insight to the history and culture of the Slovaks and Czechs. It features antiques, exhibitions, experiences and a library brimming with periodicals, chronicled materials, A/V materials, and many books! Docents are accessible to show you around. 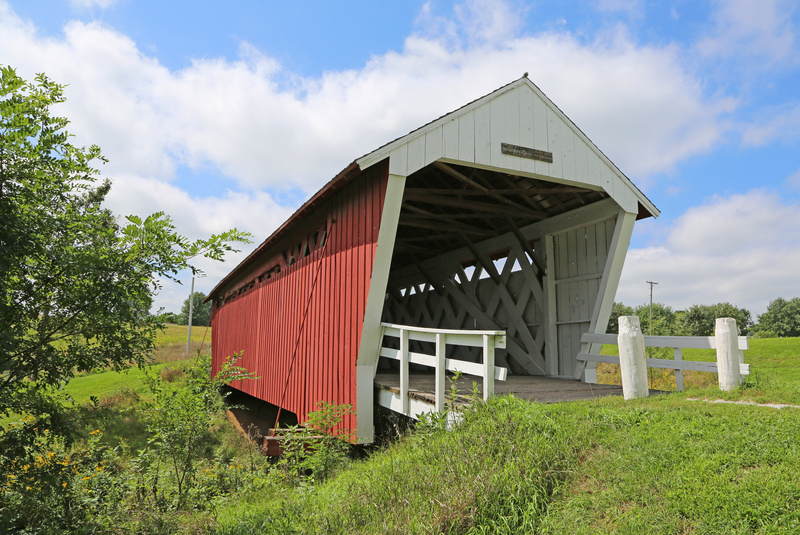 The historical center is open from Tuesday to Saturday, 9:30 a.m. to 4:00 p.m.
Ledges State Park offers a beautiful outdoors environment of thick timberlands, old stone structures and bridges, and an abundance of natural life. The most visited state park in Iowa, RV trailer rentals in Iowa can dock at nearby campsite, giving them direct access to all the recreational activities Ledges provides. Climbing, kayaking, and angling are among the most popular pastimes you can enjoy. A few miles from Iowa City, Cedar River Campground is an incredible home base if you want to explore Iowa City, Tipton, and its encompassing region. It has 71 accessible spaces, 37 of which are full hookup spots with flame rings, tables, and space for slideouts. Offices and accommodations incorporate water activities at Cedar River, basketball, swimming pool, play area, horseshoes, game room, restrooms and showers, laundry rooms, and wi-fi access for your RV trailer rental in Iowa. Stop season is from April 15 to October 15. If you are heading to Des Moines in August, you will appreciate one of the greatest American occasions of the year, the Iowa State Fair. The eleven day-long festival is full to the brim of rides, rural competitions, food, and games. Guests can spend hours walking, tuning in to live music, and stuffing themselves with food. This event is a RV traveler's heaven! Plus, there is a whole segment of the carnival dedicated to RVing outdoors. If you do not to stay at the fair campgrounds, there are other RV camping areas close by to choose from. However, make sure to get reservations well ahead of time because of the Iowa State Fair is a popular spot for RV rentals in Iowa. Every 3rd week of May the Orange City Tulip Festival attracts visitors and locals alike. Created over 70 years ago to celebrate the Dutch traditions and the inhabitants of the city. Beside exhibiting thousands of tulips, the celebration additionally includes two daily parades, music and dancing by child and adults in authentic Dutch costumes, Dutch food, nightly musical theater, various activities for children and grown-ups, and 12 replica windmills at this colorful festival. Regardless of whether you are a history buff or a nature lover, the state of Iowa will excite you with its beautiful sights, rich history, celebrations, and various attractions. Book that RV to Iowa at RVnGO and have a phenomenal time in Iowa!